This year marks the tenth anniversary of Sensors & Instrumentation Live. To celebrate, the exhibition will see the inclusion of some new feature areas. The first to be announced is the Engineering Symposium. 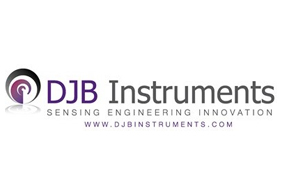 In an exciting new partnership, DJB Instruments is working with Sensors & Instrumentation Live to present CPD-accredited training that is driven by sensor innovation and the very latest in engineering. DJB will bring together a team of speakers from some of the UK’s leading technology and engineering companies to present a two day programme which provides a combination of technical training sessions on subjects including: Basics of signal processing; Analysis and control of noise sources in data; Accelerometer technology and other topics. In addition, industry based presentations will describe how innovative sensor technology has been applied in some of the most technologically challenging applications of the modern era. Sensors & Instrumentation Live returns to the NEC, Birmingham on 25 and 26 September 2019. With the show attracting a highly engaged and focused audience, it serves as the ideal opportunity to strengthen existing business relationships and secure new connections with a range of spaces available for all important networking. And with the 2019 exhibition being colocated with the TCT Show, WNIE Live and IMHX, there will be more opportunities to network than ever before. The one ticket policy for Sensors & Instrumentation Live means that visitors only need to register once to get access to both TCT and WNIE Live. If you would like to find out more information about the exhibition, please visit the Sensors & Instrumentation website. Alternatively, if you would like to find out more about exhibiting at the event, please contact event director Louise Pudney (lpudney@datateam.co.uk).